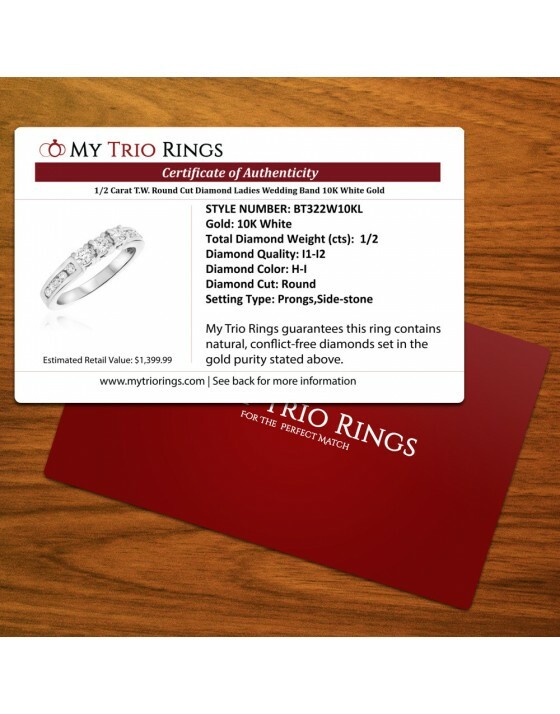 The classic profile of a standard fit ring features the top surface that is slightly rounded and a flat interior surface. 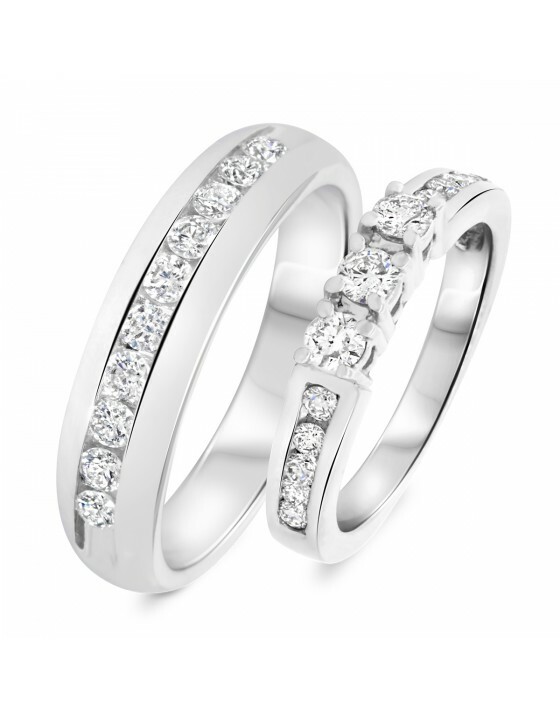 This gorgeous 10K White Gold engagement band holds an array of round diamonds in a range of sizes, creating a look of depth. 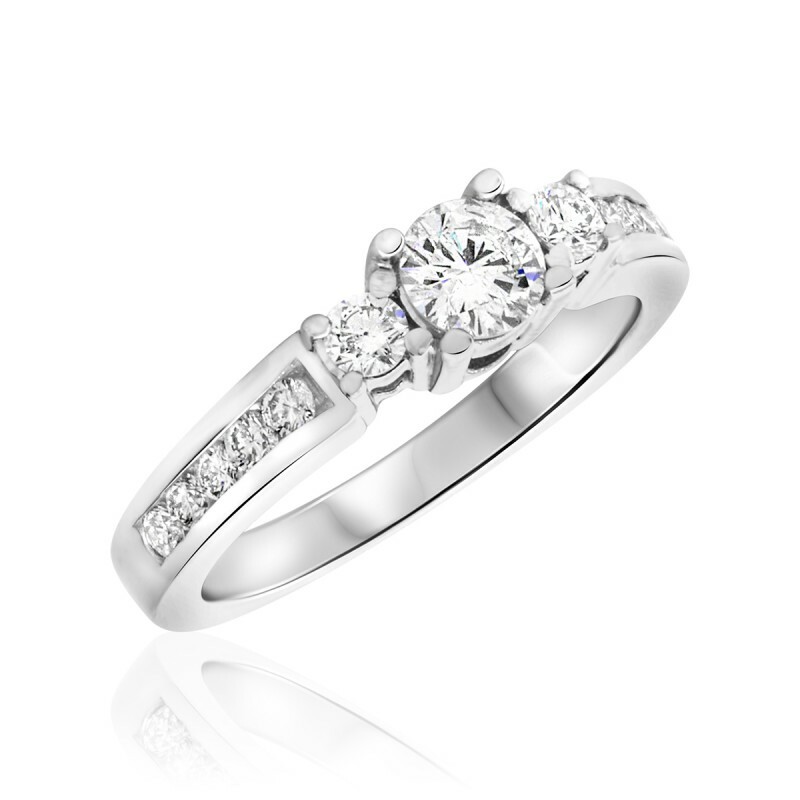 The center stone stands out in a raised platform with two stones in prongs flanking it. 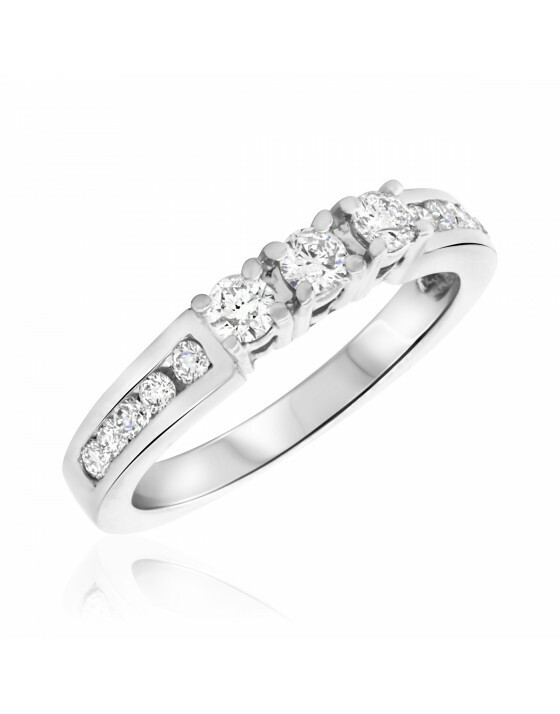 Side-stone settings hold the rest of the ring’s 13 diamonds. 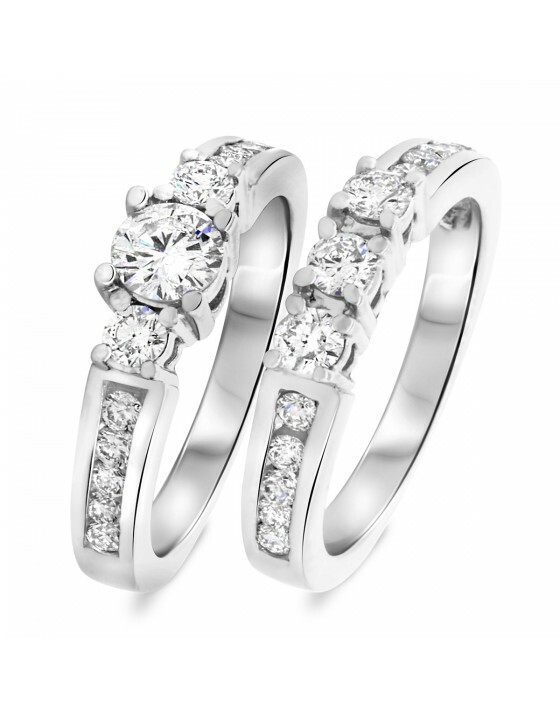 This ring features prominent prongs that add to the charm of the design. 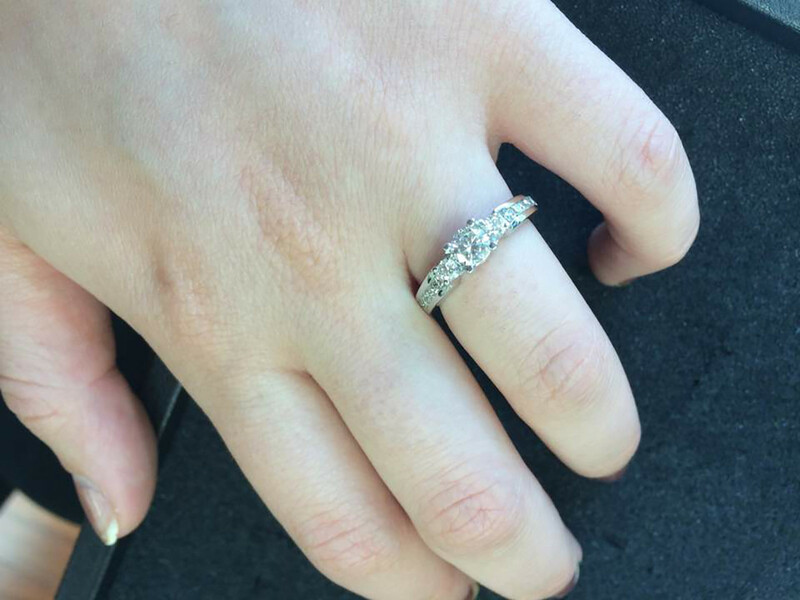 Paired with the matching wedding band, this budget ring looks even more stunning.